Benfotiamine is an especially potent form of vitamin B1, the B vitamin also known as thiamine. The advantage of this form vitamin B1 is that it is soluble in fat, which enables the body to store the vitamin for slow release. The B vitamins are well known as water-soluble vitamins. This means that they can be absorbed by the body without fat, but also that they cannot be stored by the body in fat. It doesn't do you any good to take more and more of a water-soluble vitamin (at least after a certain point), because you just urinate the excess away. Moreover, your body may get used to releasing excess vitamin and you can experience a vitamin deficiency if you stop taking a megadose. Benfotiamine is a fat-soluble vitamin like vitamin A or vitamin D, but unlike these vitamins, it does not need to be consumed with fat to be absorbed into the body. Benfotiamine only becomes fat soluble after it is activated in the bloodstream. The ability of benfotiamine to "cling" to tissues keeps it available to the body about four times longer than regular vitamin B1. You will usually see benfotiamine called a "synthetic" vitamin, but it actually occurs in nature. 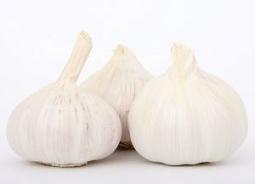 It was first identified in garlic by a Dr. Fujiwara, working in Japan in the 1950's. Fujiwara was looking for a long-lasting form of thiamine to treat the nerve pain caused by sciatica and alcoholic neuritis. Regular vitamin B1 salts worked on these conditions, but it was difficult to build up a concentration of the vitamin in the bloodstream to deliver reliable pain relief. The Saynkyo Sanyo Company developed a way to synthesize bentofiamine in the early 1960's. It was widely used in Japan but ignored by US pharmaceutical companies. 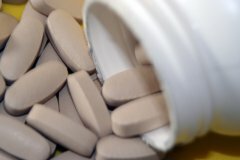 Interest in this supplement only picked up in the USA after its patent had expired, making it possible for supplement makers to offer benfotiamine at much lower prices than corresponding drugs. Benfotiamine is most often used to treat the complications of type 2 diabetes, and I'll have more to say about benfotiamine for diabetes shortly. But anyone who has any condition that responds to treatment with vitamin B1 should consider using benfotiamine. Benfotiamine For Chemotherapy complications. Benfothiamine for "chemo-neuritis" is most likely to help after treatment with methotrexate (Methotrex) for arthritis or breast cancer. 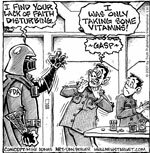 Don't start taking vitamin supplements until you have finished your chemotherapy, since the chemotherapy works by depriving inflamed tissue or cancerous tumors of vitamins. Benfotiamine for Fibromyalgia. Benfotiamine for fibromyalgia sometimes makes a huge difference in pain relief. The way benfotiamine helps fibromyalgia is by supporting the use of lactates for energy. Lactates are the energy source muscles make when they are deprived of oxygen, but they are also made in smaller quantities all the time to help muscles deal with ups and downs of oxygen supply. People who have fibromyalgia have a metabolic defect that makes it difficult for muscles to make lactates, and benfotiamine helps correct this. If you take benfotiamine for fibromyalgia and it is going to help you, you should feel results in about a week. High blood pressure. Sometimes people develop high blood pressure as a result of a phenomenon known as baroreflex dysfunction. There are nerves that control the valves that hold blood in place when you stand up and that release the blood when you sit or lie down. If these nerves are damaged (usually by poorly controlled diabetes), you can effectively have high blood pressure when you stand up or while you are seated, and low blood pressure when you lie down. Or you might have high blood pressure in one arm and normal blood pressure in the other. Treatment with benfotiamine helps restore nerve function to control these valves and sometimes produces dramatic improvements in high blood pressure even without medication. Benfotiamine for Alcoholic Neuropathy. 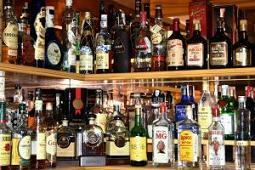 People who are alcoholics or who drink heavily often develop vitamin B1 deficiencies. The first sign of chronic B1 deficiency may be tingling in the fingers and toes. The tingling may be followed by burning and then numbness, and then numbness may be followed by inability to use the hands and a tendency to fall even without becoming intoxicated because of lack of feeling in the feet. Benfotiamine is especially helpful in treating alcoholic neuropathy, but the best way to use benfotiamine for nerve damage depends on the source of the nerve damage. Using benfotiamine with additional B vitamins, such as vitamin B6 (pyridoxine) and vitamin B12 (methylcobalamin) usually reduces the effect rather than enhancing it when the source of the neuropathy is alcohol toxicity. Benfotiamine Insulin Resistance and Blood Sugar. Insulin resistance is a failure of cells in the liver, belly fat, and skeletal muscles to receive insulin transported by insulin. It is not synonymous with type 2 (adult-onset) diabetes, but it is the underlying cause of type 2 diabetes. In adult-onset diabetics, some kind of genetic predisposition or metabolic trauma (there is more than one cause) causes cells to shut down receptor sites for receiving sugar. Keeping sugar out of the cell reduces the number of free radicals generated by the burning of sugar that could damage DNA. When cells don't absorb sugar, it stays in the bloodstream. The beta-cells of the pancreas release additional insulin to try to lower bloodstream sugar levels, but cells just "turn off" more insulin receptors to keep sugar out. The pancreas releases more and more insulin, but cells turn off more and more receptors, until after a period of several years to several decades, the pancreas eventually "burns out." All that extra insulin, however, still transports fat. Diabetics don't get fat without eating too much, but their initially high insulin levels prime fat cells to soak up every available calorie and pack it around the waist. Anything that reverses insulin resistance slows or reverses diabetes and also makes it easier to lose weight. Benfotiamine helps reverse insulin resistance that is caused by eating fried or broiled foods. Changes in food composition that take place during frying or broiling cause the fat in the food to form advanced glycation endproducts, or AGE's. The AGE's that are made in just a few minutes in fried or broiled food are similar to the AGE's that are formed over several weeks or months in the bloodstream when blood sugar levels are too high. The AGE's released by the digestion of food travel through the bloodstream to fat cells, where the stop the production of hormone called adiponectin. That's not a good thing. Adiponectin helps control appetite. It sends a signal from the fat cells to the brain that they are full. And it also lowers insulin resistance. This is why type 2 diabetics are especially sensitive to broiled burgers and fried chicken and French fries. These common fast foods not only make the underlying insulin resistance worse, they also increase the diabetic's appetite. Scientists at the Heart and Diabetes Research Center in Bad Oeynhausen in Germany have conducted studies that both confirmed the obvious, that eating steamed or raw foods is easier on diabetic metabolism, but also that giving type 2 diabetics benfotiamine offsets some of the ill effects of eating fried and broiled foods. And it only takes three days to get the full effect. The scientists gave their diabetic study volunteers 3 doses of 350 mg of benfotiamine daily for two days, and then a single dose of 1,050 mg on the third day. Just three doses of benfotiamine was enough to reverse the ill effects of eating food prepared at high temperature. Adiponectin levels normalized very quickly. It's still better to avoid the fried foods, but if you can't benfotiamine may help minimize the side effects. Benfotiamine for Diabetic Neuropathy. I've worked with several readers who have enjoyed considerable improvements in diabetic neuropathy after taking benfotiamine. One of my readers is a diabetic who took up yoga to deal with a muscle issue. He didn't really take good care of his blood sugar levels, so he started having neuropathy (tingling, burning, and numbness) in one foot. Eventually, he could not stand on that foot alone so he could not do the yoga poses that were keeping his back pain in control. Just a couple of days of taking benfotiamine were enough to restore feeling in his foot so he could resume his exercise routine. Nutritional support for diabetic neuropathy is a little different from nutritional support for alcoholic neropathy. Alcoholic neuropathy usually responds just to additional vitamin B1 provided by benfotiamine. Diabetic neuropathy usually responds best to a combination of benfotiamine, vitamin B6 (in the form of pyridoxine), and vitamin B12 (in the form of cyanocobalamin, not methylcobalamin, the combination of benfothiamine and "methyl B12" not recommended). More benfotiamine gets better results, at least up to about 400 mg a day. This amount of benfotiamine should be taken with up 800 mg of B6 and up to 2,000 micrograms of B12 a day. Other diabetic complications. Benfotiamine is also used in treatment of diabetic retinopathy, diabetic kidney disease, and peripheral arterial disease. If you would like more information about how this supplement is used in these conditions, or where to buy it, please post a comment or question in the Comments Box and I'll be happy to respond. Are there are any potential side effects to benfotiamine? None have ever been reported, but in another article I discuss the one disease for which benfotiamine treatment is not advised. Beltowski J: Adiponectin and resistin: new hormones of white adipose tissue. Med Sci Monit 9:RA55-RA61, 2003.
unlikely to contribute to the pathogenesis of obesity in Prader-Willi syndrome. Horm Res 65:39-45,2006. Elvevoll EO, Osterud B. : Impact of processing on nutritional quality of marine food items. Forum Nutr 56:337-340,2003. English PJ, Coughlin SR, Hayden K, Malik IA, Wilding JP: Plasma adiponectin increases postprandially in obese, but not in lean, subjects. Obes Res 11:839-844,2003. English PJ, Coughlin SR, Hayden K, Malik IA, Wilding JPH: Response: postprandial adiponectin revisited (Letter). Obes Res12:1032-1034,2004. Esposito K, Nappo F, Giugliano F, Di PC, Ciotola M, Barbieri M, Paolisso G, Giugliano D: Meal modulation of circulating interleukin 18 and adiponectin concentrations in healthy subjects and in patients with type 2 diabetes mellitus. Am J Clin Nutr 78:1135-1140,2003. Fantuzzi G: Adipose tissue, adipokines, and inflammation. J Allergy Clin Immunol 115:911-919,2005. Fridlyand LE, Philipson LH: Reactive species and early manifestation of insulin resistance in type 2 diabetes. Diabetes Obes Metab 8:136-145,2006. Funahashi T, Nakamura T, Shimomura I, Maeda K, Kuriyama H, Takahashi M, Arita Y, Kihara S, Matsuzawa Y: Role of adipocytokines on the pathogenesis of atherosclerosis in visceral obesity. Intern Med 38:202-206,1999. Goldberg T, Cai W, Peppa M, Dardaine V, Baliga BS, Uribarri J, Vlassara H: Advanced glycoxidation end products in commonly consumed foods. J Am Diet Assoc 104:1287-1291,2004. Greenfield JR, Samaras K, Hayward CS, Chisholm DJ, Campbell LV: Beneficial postprandial effect of a small amount of alcohol on diabetes and cardiovascular risk factors: modification by insulin resistance. J Clin Endocrinol Metab 90:661-672,2005. Hammes HP, Du X, Edelstein D, Taguchi T, Matsumura T, Ju Q, Lin J, Bierhaus A, Nawroth P, Hannak D, Neumaier M, Bergfeld R, Giardino I, Brownlee M: Benfotiamine blocks three major pathways of hyperglycemic damage and prevents experimental diabetic retinopathy. n Nat Medn9:294-299,2003. Imbeault P, Pomerleau M, Harper ME, Doucet E: Unchanged fasting and postprandial adiponectin levels following a 4-day caloric restriction in young healthy men. Clin Endocrinol (Oxf)60:429-433,2004. Kadowaki T, Yamauchi T, Kubota N, Hara K, Ueki K, Tobe K: Adiponectin and adiponectin receptors in insulin resistance, diabetes, and the metabolic syndrome. J Clin Investn 116:1784-1792,2006. Klopotek Y, Otto K, Bohm V: Processing strawberries to different products alters contents of vitamin C, total phenolics, total anthocyanins, and antioxidant capacity. J Agric Food Chem 53:5640-5646,2005. Kuniyasu A, Ohgami N, Hayashi S, Miyazaki A, Horiuchi S, Nakayama H: CD36-mediated endocytic uptake of advanced glycation end products (AGE) in mouse 3T3-L1 and human subcutaneous adipocytes. FEBS Lett537:85-90,2003. Matsuzawa Y, Funahashi T, Nakamura T: Molecular mechanism of metabolic syndrome: contribution of adipocytokines adipocyte-derived bioactive substances. Ann N Y Acad Sci892:146-154,1999. Musso G, Gambino R, Durazzo M, Biroli G, Carello M, Faga E, Pacini G, De MF, Rabbione L, Premoli A, Cassader M, Pagano G: Adipokines in NASH: postprandial lipid metabolism as a link between adiponectin and liver disease. Hepatology 42:1175-1183,2005. Negrean M, Stirban A, Stratmann B, Gawlowski T, Horstmann T, Gotting C, Kleesiek K, Mueller-Roesel M, Koschinsky T, Uribarri J, Vlassara H, Tschoepe D: Effects of low- and high-advanced glycation endproduct meals on macro- and microvascular endothelial function and oxidative stress in patients with type 2 diabetes mellitus. Am J Clin Nutr85:1236-1243,2007. Osei K, Gaillard T, Cook C, Kaplow J, Bullock M, Schuster D: Discrepancies in the regulation of plasma adiponectin and TNF-alpha levels and adipose tissue gene expression in obese African Americans with glucose intolerance: a pilot study using rosiglitazone. Ethn Dis 15:641-648,2005. Ouchi N, Kihara S, Arita Y, Maeda K, Kuriyama H, Okamoto Y, Hotta K, Nishida M, Takahashi M, Nakamura T, Yamashita S, Funahashi T, Matsuzawa Y: Novel modulator for endothelial adhesion molecules: adipocyte-derived plasma protein adiponectin. Circulation100:2473-2476,1999. Oya T, Hattori N, Mizuno Y, Miyata S, Maeda S, Osawa T, Uchida K: Methylglyoxal modification of protein: chemical and immunochemical characterization of methylglyoxal-arginine adducts. J Biol Chem 26:18492-18502,1999. Peake PW, Kriketos AD, Denyer GS, Campbell LV, Charlesworth JA: The postprandial response of adiponectin to a high-fat meal in normal and insulin-resistant subjects. Int J Obes Relat Metab Disord 27:657-662,2003. Stirban A, Negrean M, Stratmann B, Gawlowski T, Horstmann T, Götting C, Kleesiek K, Mueller-Roesel M, Koschinsky T, Uribarri J, Vlassara H, Tschoepe D: Benfotiamine prevents macro- and microvascular endothelial dysfunction and oxidative stress following a meal rich in advanced glycation end products in individuals with type 2 diabetes. Diabetes Caren29:2064-2071,2006. Tan KC, Chow WS, Ai VH, Metz C, Bucala R, Lam KS: Advanced glycation end products and endothelial dysfunction in type 2 diabetes. Diabetes Care 25:1055-1059,2002. Uchida Y, Ohba K, Yoshioka T, Irie K, Muraki T, Maru Y: Cellular carbonyl stress enhances the expression of plasminogen activator inhibitor-1 in rat white adipocytes via reactive oxygen species-dependent pathway. J Biol Chem 279:4075-4083,2004. Unno Y, Sakai M, Sakamoto Y, Kuniyasu A, Nakayama H, Nagai R, Horiuchi S: Advanced glycation end products-modified proteins and oxidized LDL mediate down-regulation of leptin in mouse adipocytes via CD36. Biochem Biophys Res Commun 325:151-156,2004. Uribarri J, Stirban A, Sander D, Cai W, Negrean M, Buenting CE, Koschinsky T, Vlassara H: Single oral challenge by advanced glycation end products acutely impairs endothelial function in diabetic and nondiabetic subjects. Diabetes Care 30:2579-2582,2007. Valerio G, Franzese A, Poggi V, Patrini C, Laforenza U, Tenore A: Lipophilic thiamine treatment in long-standing insulin-dependent diabetes mellitus. Acta Diabetol 36:73-76,1999. Valerio G, Franzese A, Poggi V, Tenore A: Long-term follow-up of diabetes in two patients with thiamine-responsive megaloblastic anemia syndrome. Diabetes Care 21:38-41,1998. Vlassara H, Uribarri J: Glycoxidation and diabetic complications: modern lessons and a warning? Rev Endocr Metab Disord 5:181-188,2004.